If your planning to improve your home with a new patio or driveway but you’re not sure about the best kind of surface to choose then block paving is definitely worth consideration. There are many different colours available with block paving so developing a unique and eye catching design can be achieved with ease. Many people don’t consider block paving for their driveway or patio because they believe their choices are limited when it comes to creativity and design. This couldn’t be further from the truth, and the reality is that block paved patios and driveways are among the most durable kinds of surface, will need little maintenance and are extremely hard wearing. Imprinted Concrete driveways are a sure fire way to make sure that your car stands on solid ground and that you can protect the lawn around your property. It is a fairly inexpensive way for you to add some cosmetic flair to your parking area and concrete is known to last for many years. Properly maintained and cared for concrete driveways in Lincoln are known to last upwards of 10 years and will typically increase the value of your property. A1 Builders & Paving has completed an impressive range of resin bound and bonded surfaces applications in and around the Lincoln area which include domestic driveways, pathways, patios, courtyards, landscaping schemes and pedestrian walkways. Depending on the choice of aggregate a resin driveway will typically last between 8 and 15 years with very little maintenance required. 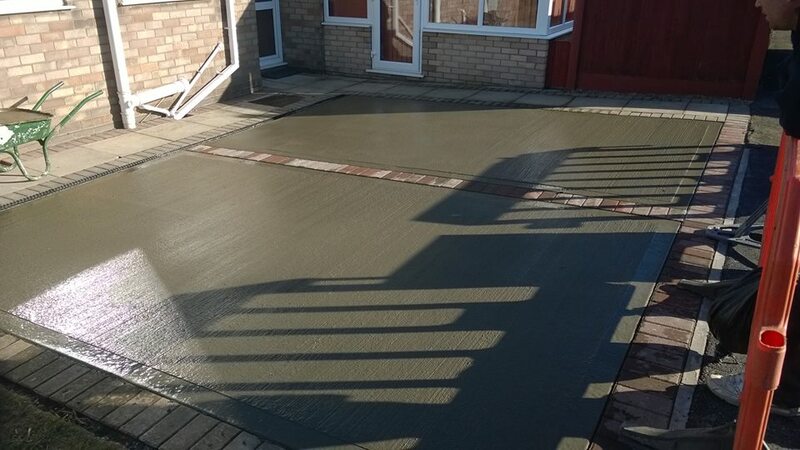 In some situations considerable cost savings can be made, if you already have a concrete or tarmac driveway, resin can be installed directly over the top, meaning no excavation works are necessary, thus saving time and money on the installation of your new driveway.